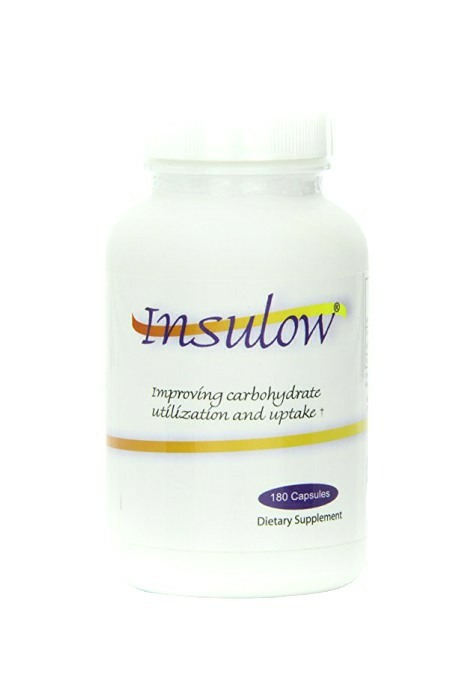 INSULOW, is a product made by Glucorell and recommended in "Diabetes Solutions: The Complete Guide to Achieving Normal Blood Sugars" by Dr. R. Bernstein. This product reduces the insulin spikes associated with eating carbohydrate meals! Insulow contains pure R-Alpha Lipoic Acid complexed with essential Biotin. The R-Alpha Lipoic Acid, sometimes referred to as Glucorell enhances glucose uptake and insulin sensitivity, delivering improved carbohydrate uptake and utilization which can increase energy levels and improve your ability to use both fat and carbohydrates for energy. Take 1 capsule 15 minutes before small carb meals. Take 2 capsules 15 minutes before large carbohydrate meals. Advanced Directions: Take 1 capsule for every 30-40 grams of carbohydrates you will consume in your meal. Insulow Dietary Supplents is the same as Glucorell R. Each bottle contains 180 capsules.